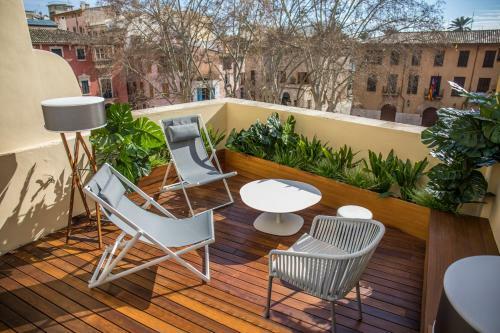 Fabulous Townhouse in the Core of Palma in Palma is an apartment building. 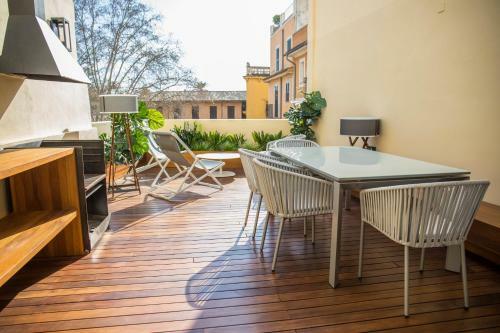 Set less than 1 km from Palma Port, Fabulous Townhouse in the Core of Palma is in Palma de Mallorca and features barbecue facilities and a terrace. Gu...ests may enjoy free WiFi. The apartment with a balcony and city views has 3 bedrooms, a living room, a flat-screen TV, an equipped kitchen with an oven and a fridge, and 3 bathrooms with a bath. Palma Yacht Club is a 19-minute walk from the apartment. The nearest airport is Palma de Mallorca Airport, 10 km from the property. When would you like to stay at Fabulous Townhouse in the Core of Palma? A damage deposit of EUR 500 is required. The host charges this 7 days before arrival. This will be collected by credit card. You should be reimbursed within 7 days of check-out. Your deposit will be refunded in full via credit card, subject to an inspection of the property.